Andre Drummond took some key steps forward this past season, but his impact still falls short of his box score numbers — particularly on defense. Contributors Steve Jones Jr. and Jordan Brenner show how. Two weeks ago, when we examined the enigmatic career of Dwight Howard, we saw what can happen to a player who never fully understands himself or his place in an ever-evolving sport. Howard hasn’t grasped the intricacies of the game that could have complemented his athletic ability and made him far more efficient—and dominant. The result is that at age 32, he has joined his fourth team in as many seasons. But what if Howard were 25? What if the role of centers had been changing for years, and he were still young enough to adapt with it? 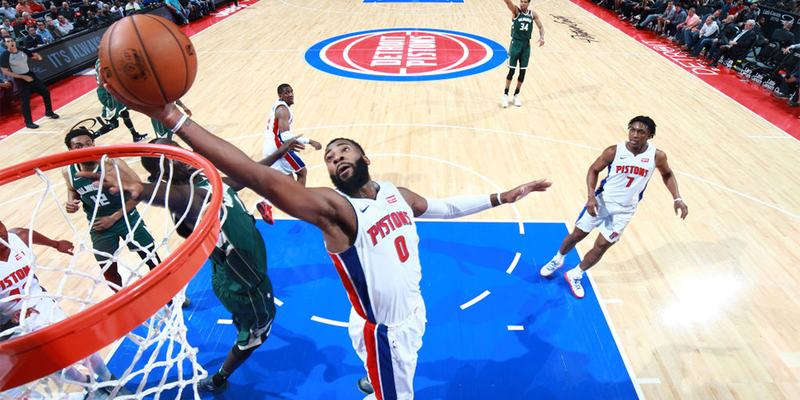 That is the question that now faces Andre Drummond, a player of similar physical prowess who suffers from some of the same issues that have plagued Howard.